As a young man (4 years old?) aptly described it, this is my... balls shirt. I pinned a picture two years ago with giant pearls sewn on a sweater, and I said to myself 'I will do that one day...'. One day being over 600 days later but... I did it! And I took my time so that I actually liked the result and didn't waste my time on a DIY that I would be bored with in a week. Also, I thrifted this top quality Pink Tartan sweater and I would be really mad at myself if I ruined it with some weak DIY. It took me three times to figure out exactly how I wanted to sew on the pearls. The pearls I first used were too big, the next time I didn't like how the pearls were secured and then I didn't like how the pearls cascaded down the sweater. It wasn't until I cut apart a vintage pearl necklace to sew on the smaller beads that I was happy with the result. 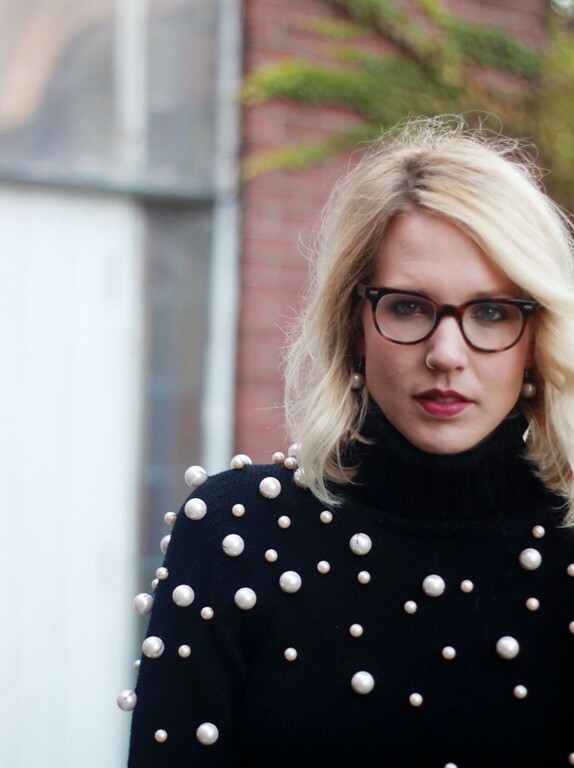 I was like the Goldilocks of pearl sweaters; it took me a few tries to get it 'just right'. so fabulous I want to collect baubles. At first I thought it would be uncomfortable when sitting against a chair, but looking at your side view picture it looks like you kept the pearls up higher in the back. Move over spikes and studs...pearls have gone tough!!! 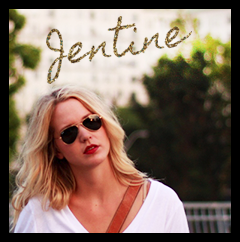 The BeDazzler be dull compared to this chic alternative. :) Love this idea. You did an amazing job with the placement of those pearls! I can only imagine how long it took you! Love your style. That green dress is fabulous! I can't believe you sewed on the pearls to your sweater - that is amazing and I love the result. I will be visiting often. This sweater is brilliant! I love it! 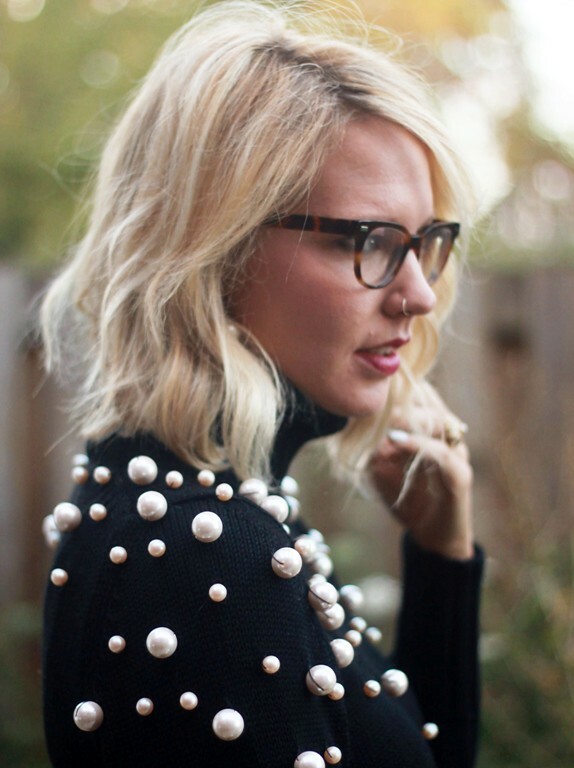 I'm wearing a pearl encrusted sweater on my blog today too!